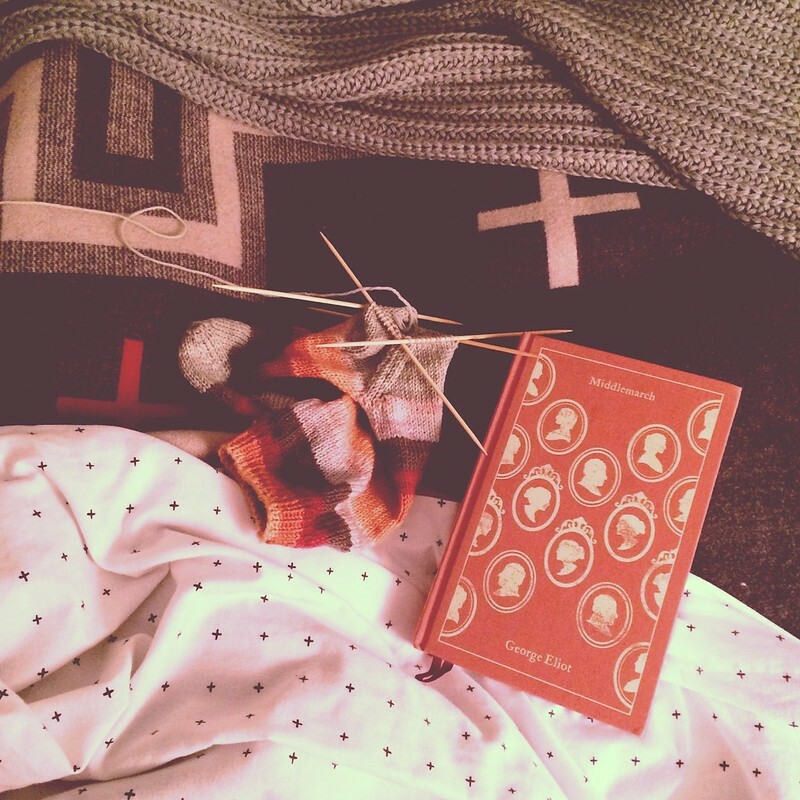 Multiple days of snow (yes another two days, starting now and into tomorrow…and again, on Monday apparently) means tucking into bed early with books and knits. It’s the only way. These will be a pair of socks I’ve so fittingly named cabin fever. Cheers to winter. thank you! thanks for stopping by my blog and reading!